Cognitive load = Innate load + Germane load +Extraneous load. Innate load increases with the complexity of the concept itself. 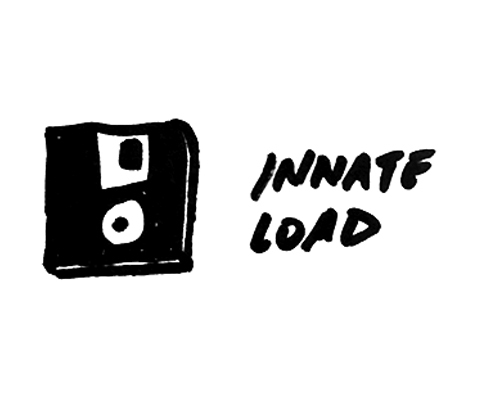 We could think of innate load as the “file size” for an app we’re installing into our brain (e.g., mixing cooking ingredients is small while deciphering a physics equation is big). 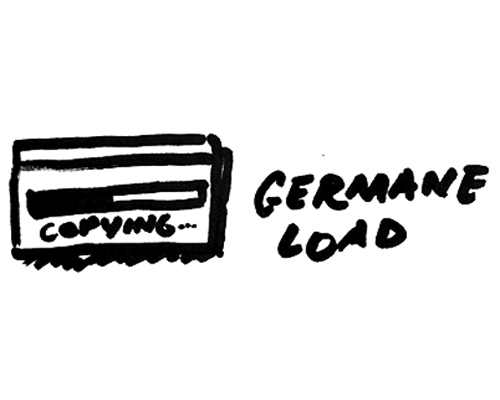 Germane load is how difficult it is to merge the new concept in with what we already know. It’s kind of like the processing power required to “install” that file into our brain. Extraneous load is everything else distracting us from learning the concept. 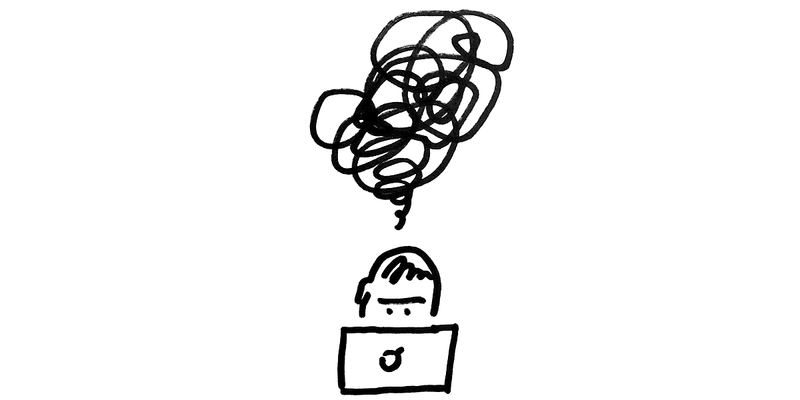 Your learners are already in the most distracting place that’s ever existed: The Internet. They’re only a tap, click, or notification away from everything other than what you’re teaching. Extraneous load is sky high. With this in mind, Pathwright’s interface designers hunt down and kill extraneous load wherever it’s found. If it’s not essential, it gets axed. So even though course sidebars may be the cool kid everywhere else, they don’t make the cut here. 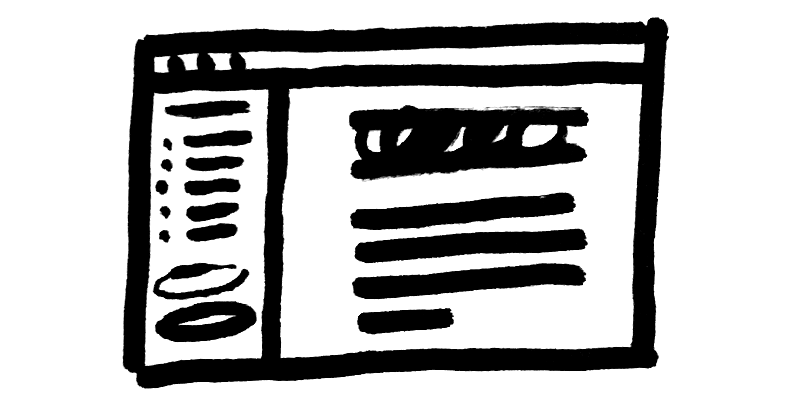 A lurking sidebar is an invitation to stop learning. It steals away your learner’s scarce cognitive load from your teaching. It’s a small thing, but the devil is in the details. The problem here is that order matters in an effective course. Learning requires connecting past knowledge with new knowledge progressively. Give your learners an ever-present chance to skip around, and they’ll miss those essential connections. But learning isn’t about content. It’s about absorbing, reflecting, practicing, observing, doing, reviewing, etc. — all actions connected in an intentionally designed sequence (or, ahem, a “path”). 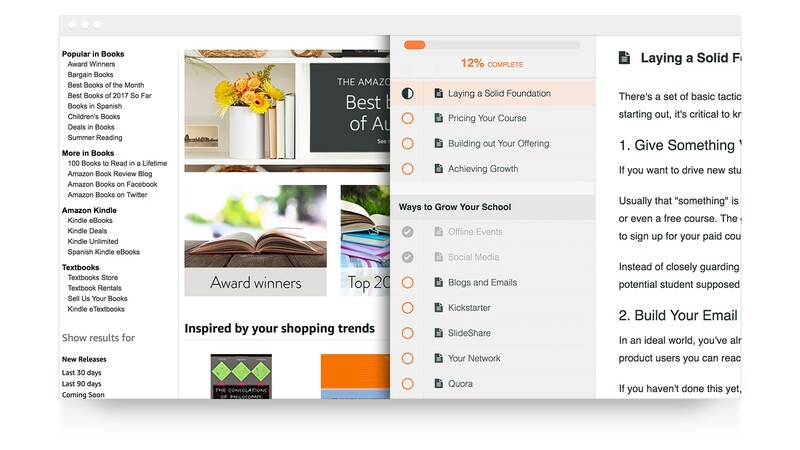 If an online course is dressed up like it’s all about the content, it’s easy to forget about following a path altogether. 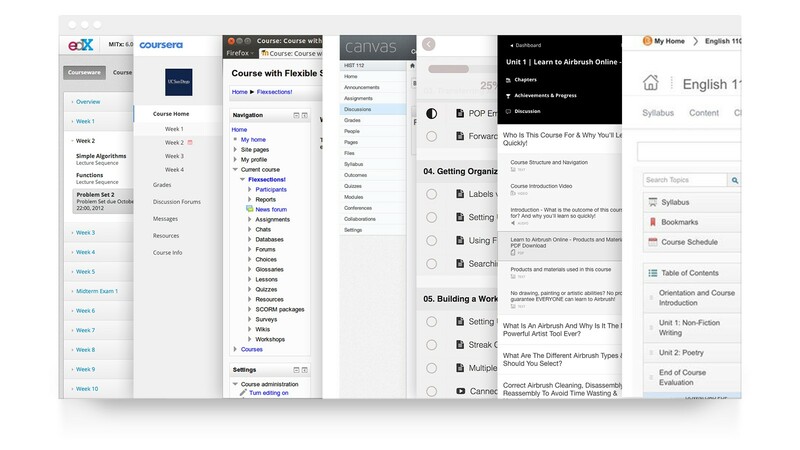 Interface design for online education is in its infancy. We have a lot more work to do, and breaking up with course sidebars is just a small step. 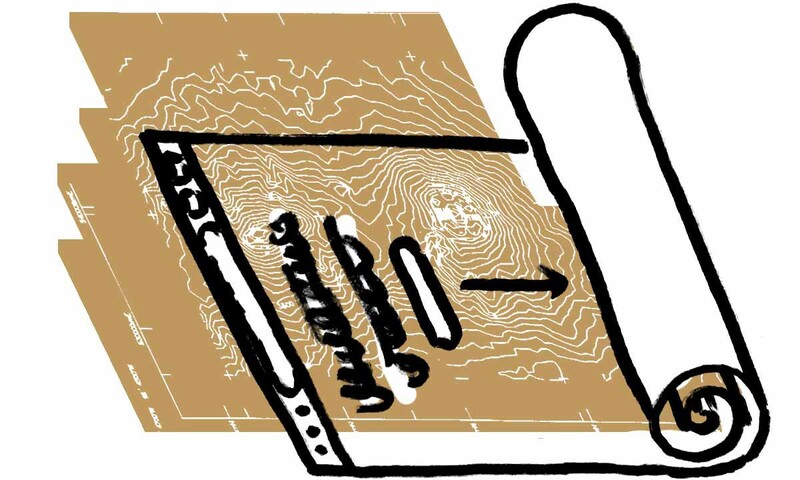 Unfortunately, many good interface designers are slapping together popular UI patterns that work great for exploring an online store or blog without thinking about how those patterns impact learning. At Pathwright, we don’t get everything right either. But we start by taking a design approach that begins with what’s best for you as a teacher and for your learners—not what’s expected or popular.